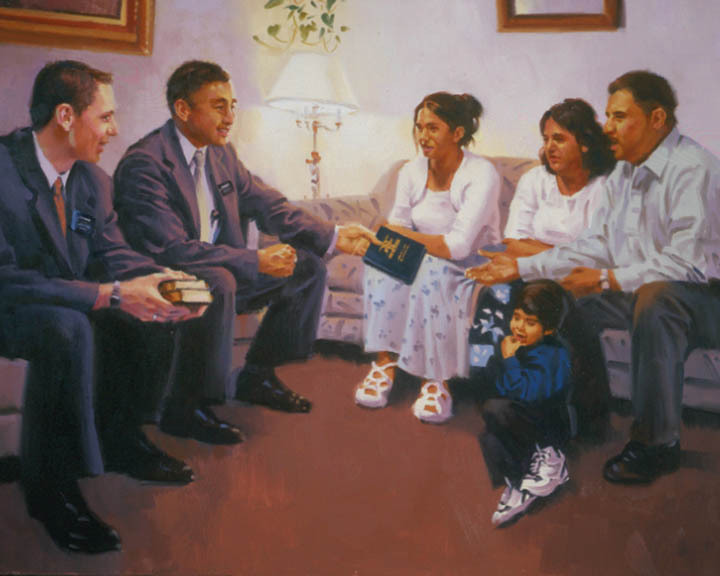 How important is religion to Mormons? When people search for reasons why organizations, teams, bands, religions or families are successful, there is no question that one of the most important attributes is commitment. With commitment you are not only saying what you believe, you are taking action to follow through with those beliefs. In a recent survey by the Pew Research Center Forum on Religion & Public Life, ‘Mormons in America,’ there was quite a bit of evidence that members of The Church of Jesus Christ of Latter-day Saints (sometimes erroneously called Mormons) are committed. According to the Deseret News in their third article titled “LDS religious commitment high, Pew survey finds,” we find out just how committed the Mormons are to their beliefs. So, how important is religion to the Mormons who were surveyed? The article shares some of the important data such as: “Eighty-two percent of survey respondents indicate that religion is “very important” to them, 83 percent say they pray every day and 77 percent say they attend church at least once a week. Beyond that, a stunning 69 percent of respondents fit all three descriptions, saying that religion is very important to them, that they pray every day and that they go to church every week.” Again, when it comes to commitment to their beliefs, Mormons are showing that they walk the talk. In this specific article an important aspect of those who actually participated was brought up by Marie Cornwall, a BYU sociologist who advised the Pew Forum on this particular survey. She shared the following, “the method they used tended to identify people who are strongly committed…” She continues saying, “they don’t have the people who are kind of marginal.” This is an important piece of the puzzle that many need to understand in order to gain a more clear perspective of the information presented. It can become easy to stereotype one way or the other with these types of surveys so understanding the population who participated is key. “Fringe” Mormons have all sorts of ideas and attitudes outside the rock-solid population of those active in the faith. Another important aspect the Desert News piece shares is in regard to the findings around the religious commitment difference between genders. The article points out that it is more of a gap than a difference, “a significant gender gap in religious commitment, with more Mormon women than men exhibiting a high level of religious commitment (73 percent vs. 65 percent).” There may be some more opportunity here to dig deeper to understand the difference completely and find out the influences that cause this gap. 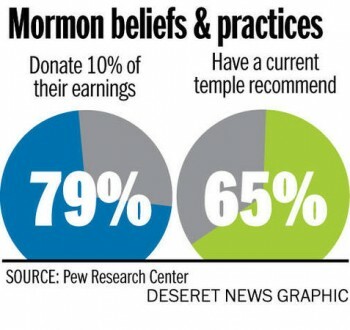 As a closing piece to this article from the Desert News, they point out that the Pew survey shows that “77 percent say they (the Mormons who were surveyed) believe ‘wholeheartedly’ in all of the teachings of the LDS Church. That number increases to 82 percent among Mormons ages 18-49, and to 85 percent among Mormons who are college graduates.” This could be for a variety of reasons but for those who are LDS, it should bring some hope that the younger generation of Mormons are taking their beliefs seriously. For a church that has continued to see growth and will continue to see rapid growth, it will be important to have leaders who are firm in their commitment to the teachings of the LDS religion. It is good to see this Pew research provide some comfort in this area. To see the entire 5 article series in the Deseret News, go to Mormons in America.